What Does Sugar Do To Our Bodies? 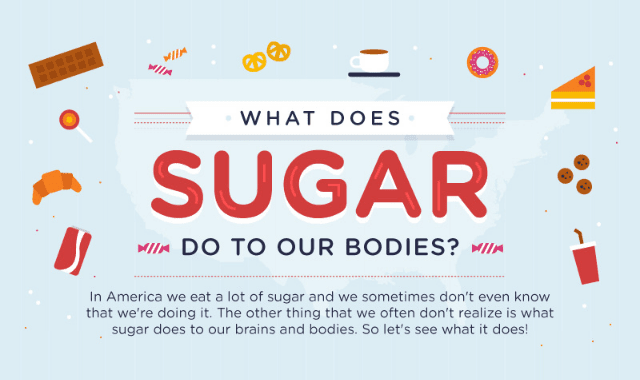 #Infographic ~ Visualistan '+g+"
In America we eat a lot of sugar and we sometimes don't even know that we're doing it. The other thing that we often don't realize is what sugar does to our brains and bodies. So let's see what it does!